Charlotte is a city with a large number of existing churches and ministries. 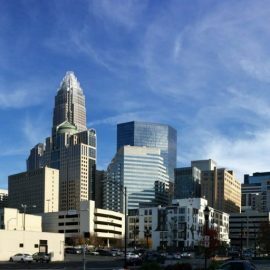 Moreover, many groups and individuals have seen the need for international outreach in Charlotte and are already engaged in various ministries. Thus, if a church is looking to get involved in gospel outreach to ethnic communities in Charlotte, it doesn’t have to start its own new program or its own new ministry. One of the first steps for a church desiring to move more into international outreach in Charlotte should be an examination of what God is already doing in the surrounding community. Most of the ministries already engaged could use more volunteers or more resources. For more information on Ethnic Churches in the Association visit our Associated Churches and or our Associated Church Plants pages. You may also email us at missions@metrolina.org with any questions or for help getting plugged in with a local ministry.